Alternately: Keeping things in order. Tidiness. Not being rough or sloppy in your work. A phrase often seen on posters in classrooms, offices, and construction sites; often cited as part of proper safety precautions. 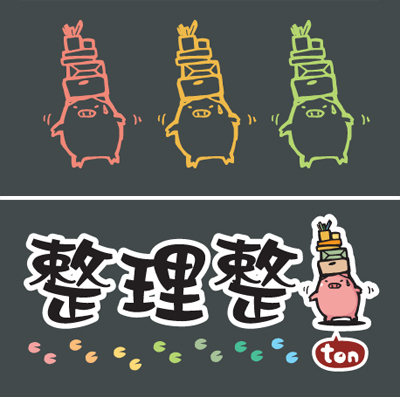 The joke is that the character 豚 (buta, “pig”) can also be pronounced ton. Image from a T-shirt design found on this website. This entry was posted in Japanese, Yojijukugo and tagged orderly, tidy, 整理, 整頓, 整豚. Bookmark the permalink.